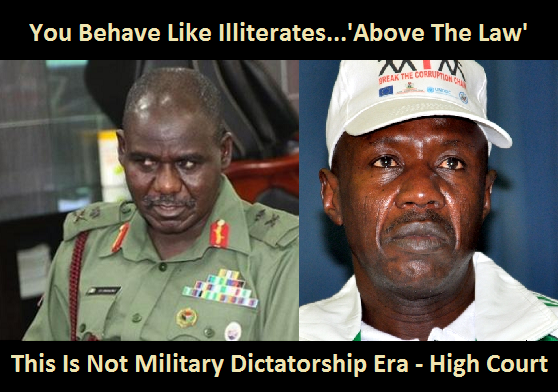 Nigerians are not ready to tolerate any brazen, irresponsible, reckless and arrogant attack on free speech. If Magu believes that a publication by the blogger against him is defamatory, the proper course of action is for him to seek redress in a court of law. The EFCC should not be used as a tool to achieve personal vendetta. Information reaching the Coalition of Human Rights Defenders (COHRD) has it that a popular Nigerian blogger and political commentator, Mr Abubakar Sidiqu Usman, also known as Abusidiqu, was arrested on the early hours of Monday 8th August, 2016 by operatives of the Economic and Financial Crimes Commission (EFCC) purportedly over a recent critical report he published against the Chairman of the Commission, Mr Ibrahim Magu. We understand that a team of stern looking and heavily armed operatives of the Commission led by one Sambo M. Mangana stormed the private residence of the blogger in the Federal Capital Territory, Abuja with a search warrant and whisked him away in a commando style after they had ransacked his house, without disclosing the reason for the search and arrest. Though details of the arrest is yet to be made the public by the EFCC, it is worrisome and extremely troubling that the commission will arrest a citizen of Nigeria in a manner reminiscent of the dark days of military dictatorship. Without prejudice to any possible legal basis for the arrest, it is pertinent to state that the EFCC does not have powers under the extant laws, including the Economic and Financial Crimes Commission (Establishment) Act 2004, to investigate, arrest, detain or prosecute any person for any alleged offence except in respect of economic and financial crimes. Therefore, if it is a truism that the actions taken against the blogger is connected with a critical report he published against the Chairman of the Commission, the implication is that the EFCC has just dealt a fatal blow on the rule of law, democracy and human rights. 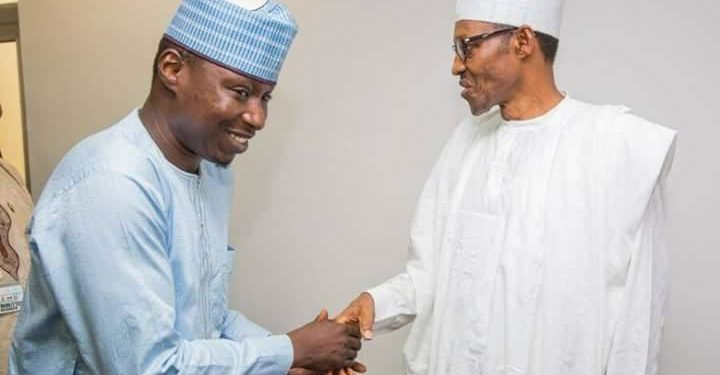 Whatever the allegations against Abubakar Usman may be, the Chairman of the commission should urgently clarify in person or through the Commission’s spokesman, the rationale for the arrest and detention of the blogger. In the absence of any allegation of commission of financial or economic crime against the blogger, the EFCC should without delay, release him from custody. The EFCC is not above the law and cannot operate like a state within a state. As a public officer, the EFCC Chairman is bound to comply with the Code of Conduct under the Constitution. A violation of any provision of the Code of Conduct under the Constitution is not only morally reprehensible but criminal and culprits are liable to be prosecuted before the Code of Conduct Tribunal. 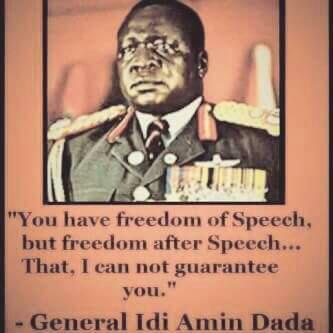 Nigerians are not ready to tolerate any brazen, irresponsible, reckless and arrogant attack on free speech. If Magu believes that a publication by the blogger against him is defamatory, the proper course of action is for him to seek redress in a court of law. The EFCC should not be used as a tool to achieve personal vendetta. Mugu should not allow ego and arbitrariness to erode public confidence in his anti-corruption strides. Mr Abubakar Usman’s fundamental rights to dignity, personal liberty, fair hearing, private and family life, freedom of expression and freedom of movement are guaranteed by Sections 34, 35, 36, 37, 39 and 41 of the Constitution, respectively, and should be respected.